Elegant life in a natural environment, at a luxury home equipped with maximum convenience. Residents will enjoy complete privacy in the grounds of their sumptuous villas, with extensive landscaped gardens and magnificent views of the prestigious signature golf course. The villas offer classic ambiance with contemporary design creating an atmosphere of unique exclusivity. All the villas stand in their own grounds with magnificent views of the golf course. Plot sizes vary between 900 and 1100 sqm. The high quality design of these villas will be completed by reputable architects at the developer's cost to meet the most luxurious and demanding requirements. The interior of every villa will offer unsurpassed standards of quality. Every villa will have a private swimming pool or whirlpool. There is the possibility to have a dream villa designed by the buyer, based on any unique requirements. Design, size and technical specifications will be finalised through personal consultations. Residents will enjoy complete privacy in the grounds of their sumptuous villas, with extensive landscaped gardens and magnificent views of the prestigious signature golf course. The villas offer classic ambiance with contemporary design creating an atmosphere of unique exclusivity. Each type of these luxury properties are equipped with great convenience, meet the highest demands, thus provide you with a good-class living in a natural environment. All the villas stand in their own grounds with magnificent views of the golf course. Plot sizes vary between 800 and 2800 sqm. The high quality design of these villas will be completed by reputable architects at the developer's cost to meet the most luxurious and demanding requirements. The interior of every villa will offer unsurpassed standards of quality. Every villa will have a private swimming pool or whirlpool. As a resident of Budapest Gate you will live in the most ambitious and most exclusive golf and country club of Central and Eastern Europe. The traditional architecture, unique natural environment and the picturesque of the Bicske area have been incorporated into the architectural design of each apartment. 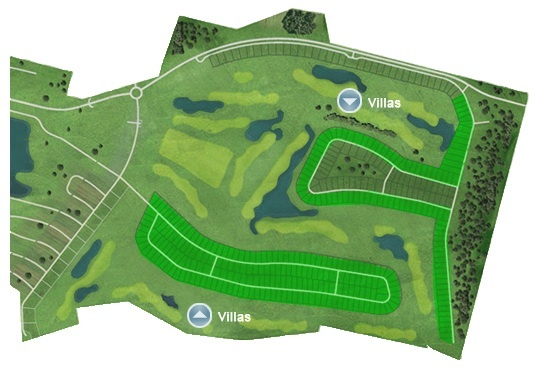 The houses at Budapest Gate Golf and Country Club will be built to be unique and varied.